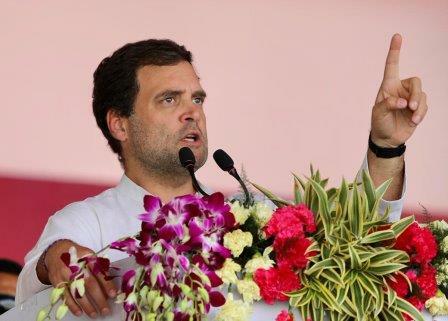 Bhubaneswar: All India Congress Committee (AICC) president Rahul Gandhi will address two public meetings in Odisha on March 8 and 13. Odisha Pradesh Congress Committee (OPCC) president Niranjan Patnaik said Gandhi is scheduled to address two meetings at Jeypore on March 8 and Bargarh on March 13. This will be Rahul Gandhi’s third visit to Odisha this year. He had earlier addressed a rally at Tomando on the outskirts of Bhubaneswar on January 24 and visited Bhawanipatna in Kalahandi district and Rourkela in Sundergarh district on February 6.